We did our Mother's Day craft today! If you are looking for something quick and easy to make...head over to my TPT store to pick one up! 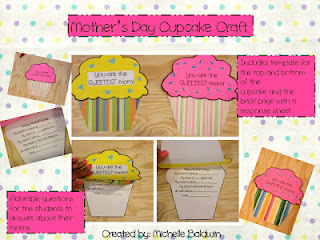 123 Teach With Me is having a Mother's Day Linky Party. Head over to her blog to check out some of the great ideas for Mother's Day! This is so sweet!! I would love it if you would add this to the Mothers Day linky I'm having:) just go to my blog and click on the linky picture on the top left. Memorial Day SALE!!! 20% off! Life cycle of a frog and ADORABLE frog book! !